One of the most terrifying traffic tickets to receive in Pennsylvania is a traffic ticket for passing a stopped school bus with its stop sign extended. Sometimes, especially on sunny days, or on curvy roads, a motorist can drive right by a school bus with a stop sign activated without realizing they have done so until it’s too late. In other instances, a school bus stops for an inordinately long time with its stop sign extended or merely with the red lights flashing and a motorist finally goes around the bus because nothing is happening and it appears to be a mistake. Because school bus drivers are empowered to report these violations, a ticket quickly follows. If you’ve been given a ticket for a school bus violation, here are three things you need to keep in mind. Frequently, in school bus cases, the witnesses who make a report cannot positively identify the driver. Witnesses often don’t get a good look at the driver until they’ve passed, or they only saw a license plate and not the driver’s face. As with any ticket or criminal charge, if a police officer calls you and asks if you are the person who allegedly ran a school bus, you should decline to make any statement and tell them to contact your lawyer instead. What you say to the police can always hurt you but rarely, if ever, help you. Even if police officers promise that they’ll “work with you” or make lesser charges available to you, this is unenforceable in court and is rarely followed through on. Accordingly, you should tell the officer that he’s welcome to contact your attorney but that you don’t wish to make any other statements until he does so. First, for a ticket to be valid in Pennsylvania law for a school bus stop sign violation, the stop sign itself must have been activated. In several instances, courts have held that this “activation” is not complete until the stop sign is fully extended. This means that if someone is already in the process of passing the bus before the stop sign comes all the way out, it may not be a violation. In most instances, the school buses today are equipped with forward facing video cameras which can show video of someone passing the bus. This is important to prove your identity or, more importantly, to prove that you are not the person accused of running a school bus. You are entitled to receive a copy of this video if you are charged with the crime of passing a school bus, along with copies of the report that was made by the police and other relevant information. This right belongs to you under the Constitution and the laws of the Commonwealth of Pennsylvania. Being convicted of, or pleading guilty to, passing a school bus carries penalties including a mandatory suspension of your license. Don’t just plead guilty even if you think the evidence against you is overwhelming. An experienced traffic attorney may be able to negotiate a more favorable outcome for you than a school bus ticket violation. 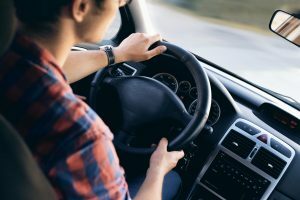 In addition to a license suspension and points, such a violation can result in a dramatic rise in your insurance premiums. You should retain an experienced defense attorney before making any decision about pleading guilty. If you’ve been charged with a school bus violation or another traffic ticket in the Commonwealth of Pennsylvania call our office for a free consultation about your case and to discuss the options in front of you. Tickets for passing a school bus stop sign can be severe, and you should have the benefit of legal counsel before making a decision about what to do in that case. Call us today.